Deep Clean and Acid Rinse in One Step! Highly concentrated for truckmount/portable use. Works with very hot water to cold water. Complete rinsing and flushing of pre-spray, soil and residue from previous cleanings. Improves bonding and performance of protectors by neutralizing residue. 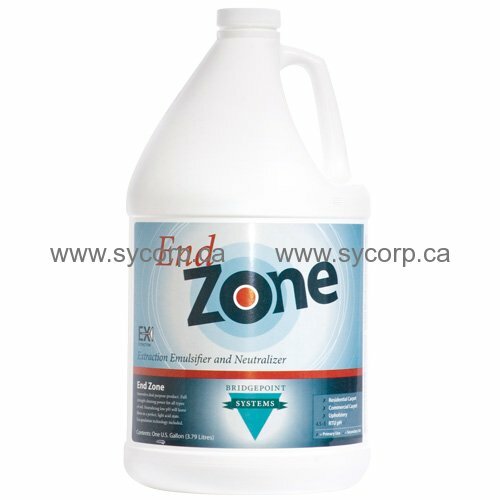 Built-in neutralizer reduces problems associated with browning and bleeding. Use for extraction only. Use Fab Set when neutralizing with mist. For use with truckmount: Mix 1 qt. to 5 gal. of water and meter as usual depending on soil level. For use with portables: Depending on soil level, mix two to four ounces to five gallons of hot water. Portables: 2 oz. per 5 gallons water.